The Central Region 4-H Fun with Fashion Contest, which is a consumer decision making competition, took place at Cumberland University in Lebanon Aug. 17. 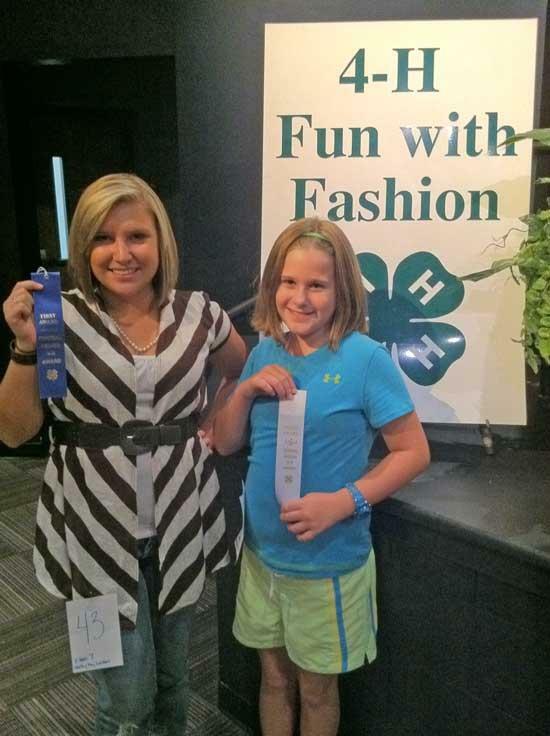 For the contest 4-H members are given a scenario to shop for and model the clothes they selected. The cost of the outfit and accessories, comparison shopping, and appropriateness for the scenario are considered along with modeling skills. Pictured here are Shelby Lovvorn and Abigail Ferrell. Shelby Lovvorn placed first in her class; impressing the judges in her school wear class with her modeling skills. Shelby is the daughter of Missy Smotherman and Roger Lovvorn and a 12th grader at Cannon County High School. This was Abigail Ferrell’s first time in the contest and she placed third in her class of active wear. She is the daughter of Joey and Kristie Ferrell and a 5th grader at Woodbury Grammar School.